Our Ukrainian colleagues attended the first meeting of Council of tourism cities and regions of Ukraine which was conducted with the support of Tourism and Resort Department of Transcarpathian Regional Administration on February 18, 2016 in Uzhhorod, Transcarpathia. Transcarpathia is the picturesque and hospitable most western region of Ukraine with a number of different tourist attractions, bordering with four EU countries – Poland, Slovakia, Hungary and Romania. This geographical position and cultural peculiarities of the region is part of the new transcarpathian tourism strategy. Therefore conduction of this event in Uzhhorod is so symbolic. During the first meeting of Council the draft strategy of the development of tourism and resorts for 2016-2020 was presented by Mr. Liptuga, head of tourism and resorts department of Ministry of economic development of Ukraine. The audience received information about marketing tourism policy which includes creation of National touristic organization for promotion of national and local tourism products, creation of a national network of brands of tourism cities and regions and the tradeshow and exhibition plans of Ministry of economic development. 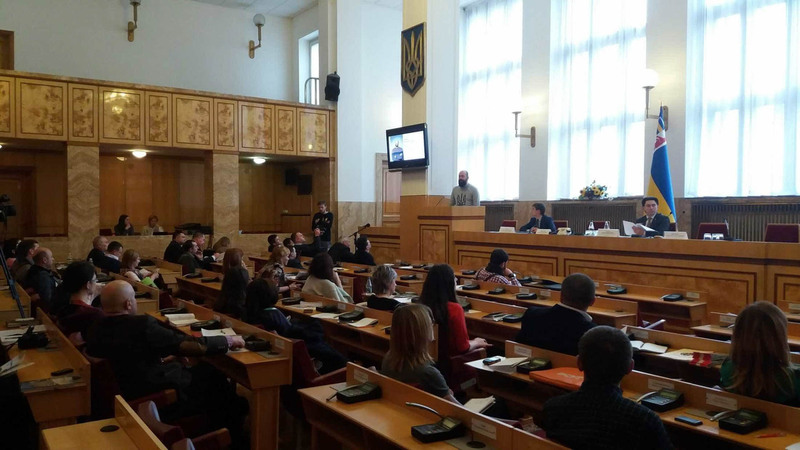 The creative Project UKRAINER aiming at promotion of internal tourism and increase of attractiveness of Ukraine for foreign tourists was presented by its developers. It was also an opportunity to get acquainted with other running tourism promotion projects and initiatives of different regions of Ukraine. Transcarpathian Tourism and Resort Department informed the audience about their current activities: introduction of loans provision scheme for green householders, development of united event calendar, financial-technical support for tourinfo centers, training, development and distribution of tourism promotion handouts. All the participants expressed strong commitment to unite their efforts for further development of the tourism sector of Ukraine. European Wilderness Society team had an occasion to promote its activities and to agree on the support from the representative Ministry of Ecology of Ukraine. On the next day the Round table on activation of the Ukrainian Carpathian region Council of tourism took place. The aim of this Round table is the definition of the main goals and tasks of the above mentioned Council. Key for the future of tourism in the Ukraine will be the adoption of the Sustainable Tourism Strategy of the Carpathian Convention. The European Wilderness Society is actively providing its expertise in the associated working group for sustainable tourism. European Wilderness Society therefore supports the creation of the Council of tourism cities and regions of Ukraine and its Carpathian region division and believes it will move the issues of sustainable tourism forward.